Disney on Sunday night unveiled a brand new trailer for the upcoming live-action Aladdin, featuring Will Smith in his full genie makeup. “You really don’t know who I am?” Smith’s Genie asks Aladdin, who is played by Mena Massoud. “Genie? Wishes? Lamp? None of that ringing a bell?” the character asks before the screen goes to black. 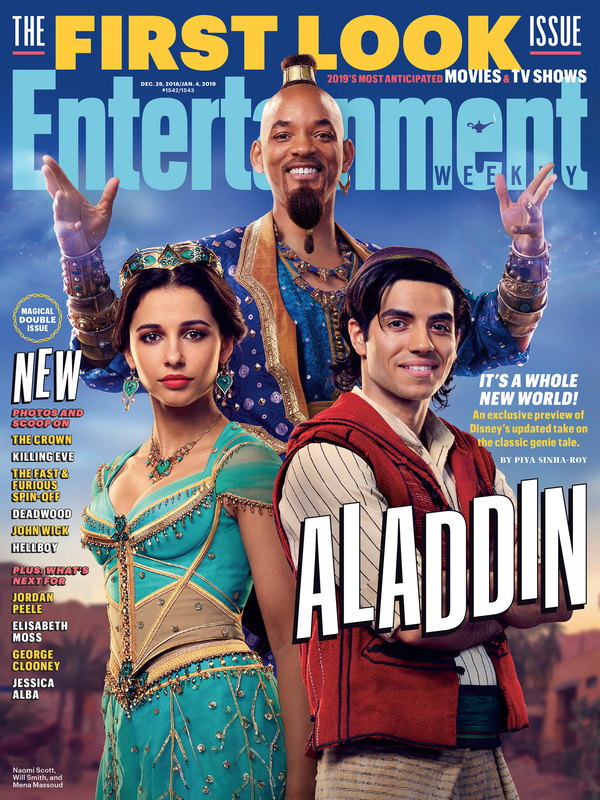 In December, Smith was featured on the cover of Entertainment Weekly along with Massoud and Naomi Scott, who will be playing Princess Jasmine. At the time, people were shocked that it seemed Disney was going to forego Genie’s classic blue look. Smith swiftly responded and quelled people’s fears, letting everyone know that all would be well. “And yes, I’m gonna be BLUE!” Smith said in a caption on his Instagram at the time. The trailer also gives some stunning glimpses of what else to expect in the upcoming live-action remake, which hits theaters on May 24. There’s Hot Jafar and his sidekick Iago. An absolutely breathtaking view of Agrabah. A lively and colorful celebration in the streets of the town. Scott’s Jasmine looking dazzling in pink and gold. And finally, Aladdin himself facing an uncertain fate in what appears to be the inside of a volcano. Late May can’t come fast enough! !